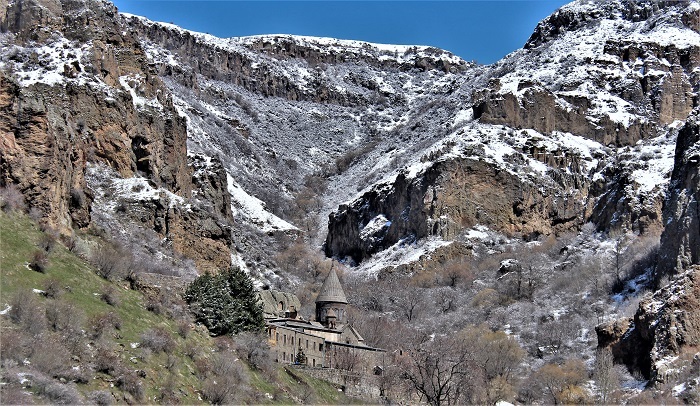 Geghard Monastery is a very old, medieval monastery, partially carved out of the adjacent mountain, surrounded by cliffs, and it is located in the Kotayk Province, in the central part of the Republic of Armenia. 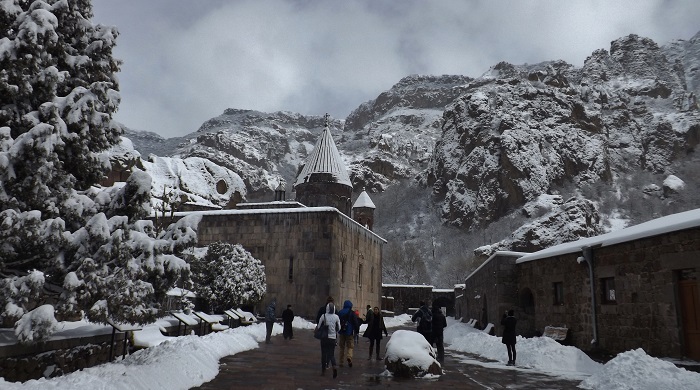 It is believed that the monastery was founded when Armenia officially accepted Christianity as official religion in 4 century, and it is considered that the monastery was built by Gregory the Illuminator, who baptized the Armenian royal family in 301. 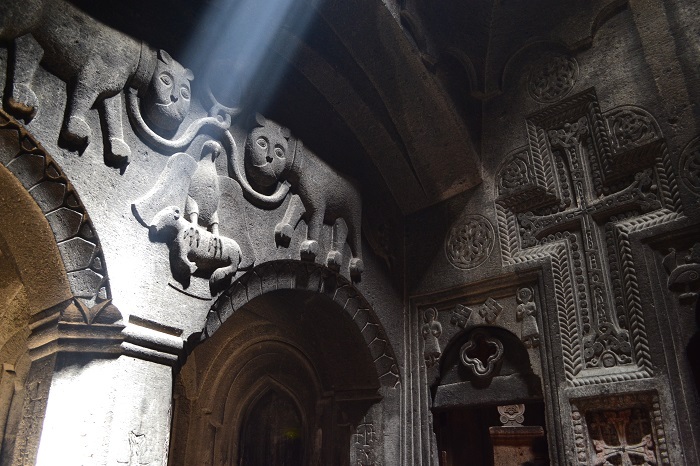 At first, the monastery began as a small cave chapel, from which the monastery complex slowly grew to more ornate and massive one, to what we are witnessing today. 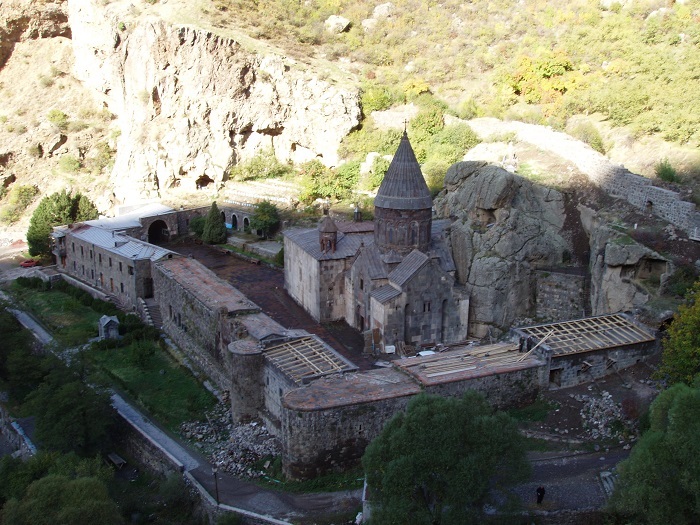 The main and most important part of the complex, the main chapel was built in 1215 under the auspices of the brothers Zakare and Ivane, the generals of Queen Tamar of Georgia, who took back most of Armenia from the Turks. 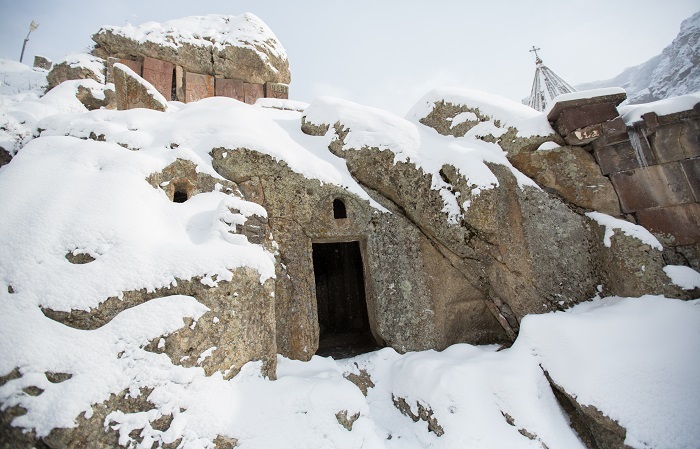 From the western entrance, there are small caves, chapels, carvings and constructions on the hillside that can be seen, and right inside the entrance to the compound are ramparts dating back from 12-13 century. 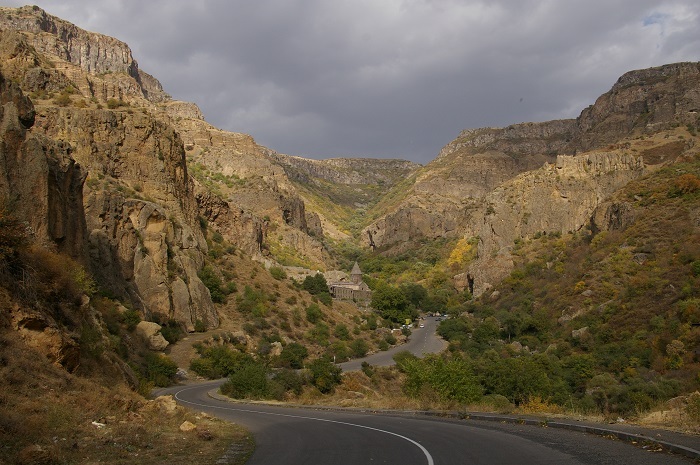 They are protecting three sides of the complex, where the fourth side is protected by cliffs. 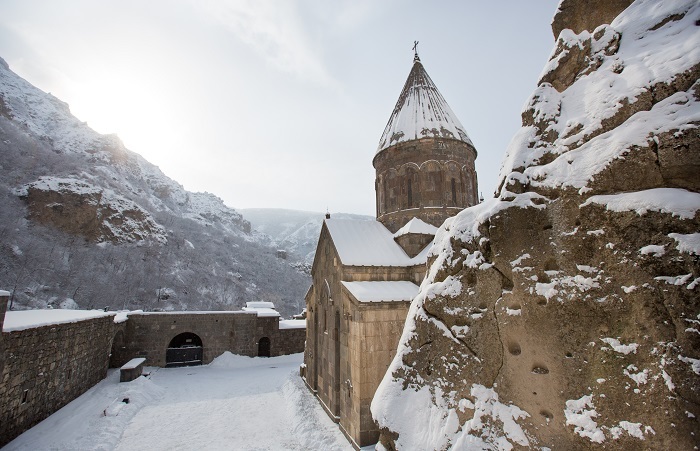 Every structure within the monastery has a mix of elegant Armenian stonework and carved crosses juxtaposed with bare cave chapels, where the mixture of all of them gives the visitors a feeling that they are transferred to ancient times. 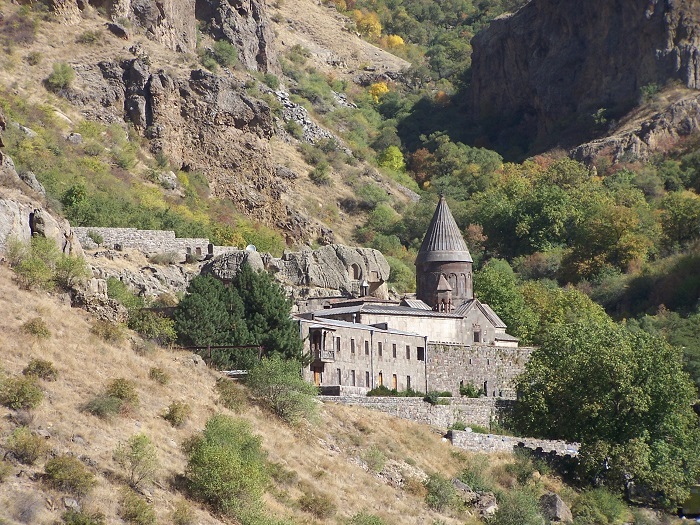 The Katoghike Chapel is certainly one of the most traditional Armenian churches, and the main feature to the monastery. 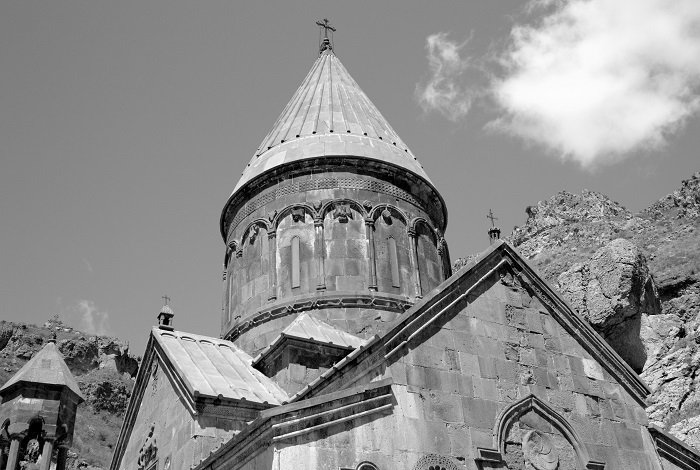 The master plan of the construction for the church follows an equal-armed cross, inscribed in a square and covered with a dome on a square base. 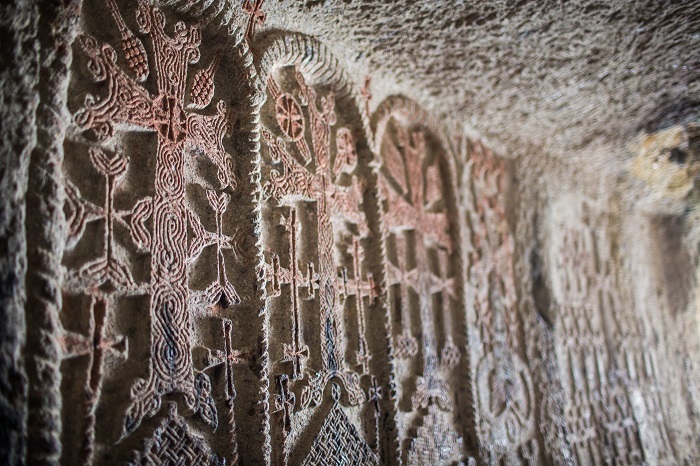 There are small barrel-vaulted two-floors chapels with steps protruding from the wall in the corners of the church, whereas the interior is inscribed with recorded donations throughout the years. 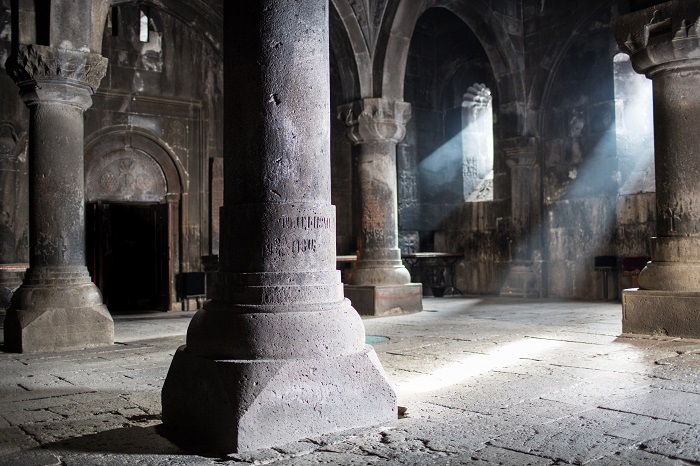 In addition to the main chapel, there is a vestry which is known as gavit and it is linked to the main church. 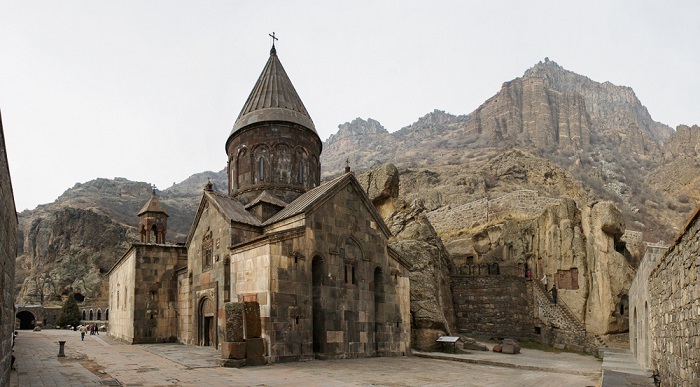 There are other additions which enrich the Geghard Monastery, such as the zhamatun, the rock-cut church with spring, the rock-cut church past the zhamatun, the Upper Jhamatun and the Chapel of S. Grigor. 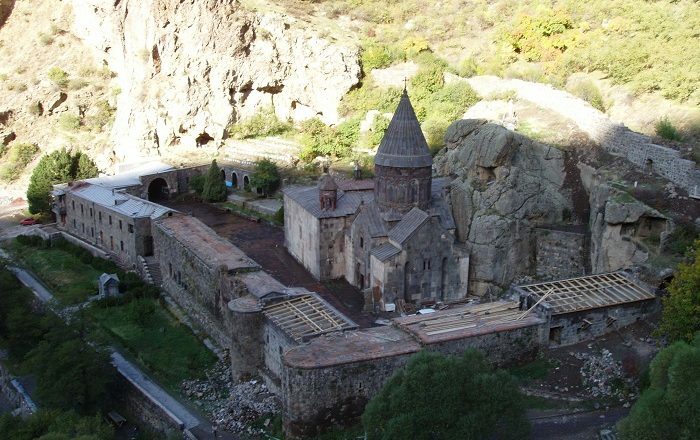 All of them combined together are giving an impressive religious sanctuary which is even more impressive with the stunning views of the Azat River Gorge that surrounds the complex. 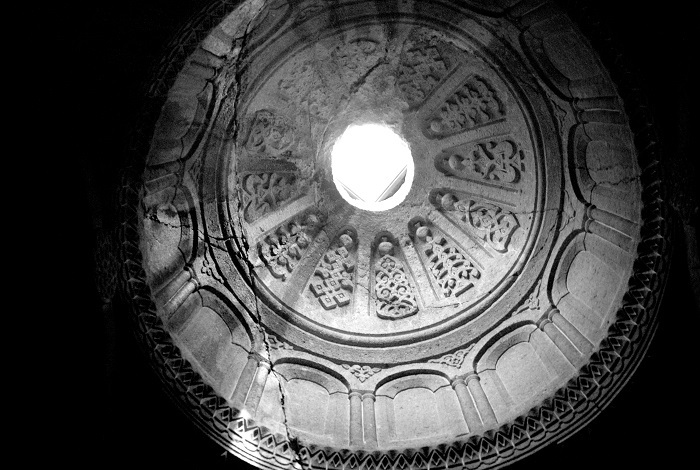 Being listed on the UNESCO World Heritage Site list since 2000, this Armenian treasure is frequently visited by plenty of tourists who would like to get a glimpse of the very rich Armenian history, and to witness the impressive Armenian architectural style which is considered here to be one of the best works in the world.